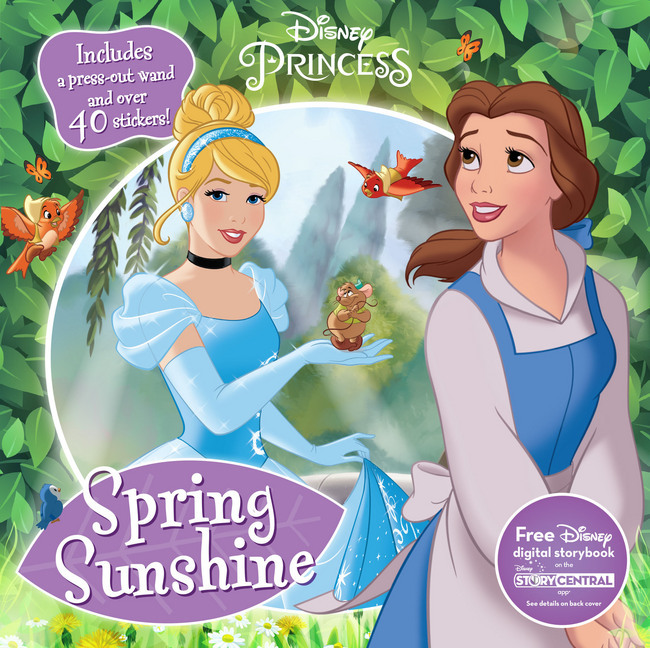 Celebrate spring with fun Disney activity books from Parragon! As a Parragon Book Buddy, I received these materials for free to review. All opinions are my own. I guess it’s probably really every season, but it feels like spring is especially frenetic. There’s something going on every weekend because people are excited that the weather is nice, and even when we don’t have a plan we’re hitting the road for a little hike or a trip to the park. We have a super-quick but rather long road trip coming up at the end of the month (for my brother’s wedding! ), so I’m stocking up on activity books and things the girl can do in the car. 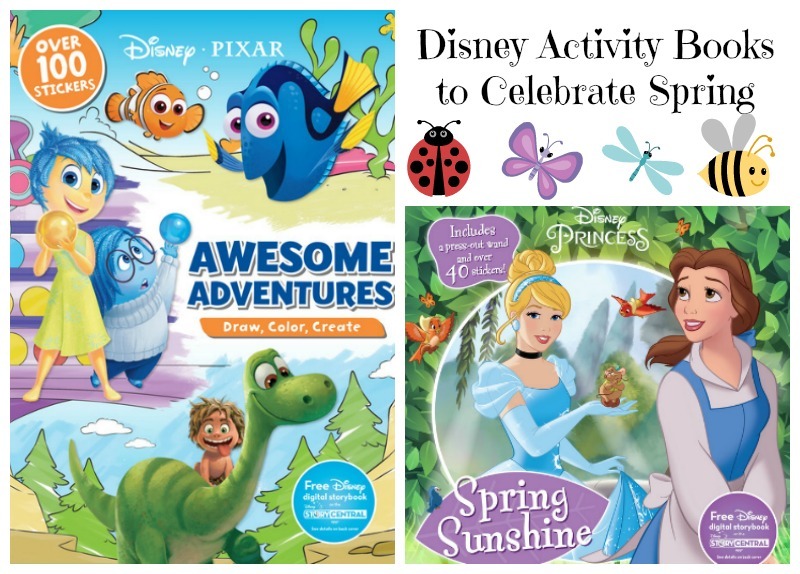 Whether you need a little something to add to your kid’s Easter basket or need something to keep them entertained in the car, on the plane or anywhere else you might be for extended periods of time this season, these Disney activity books are sure to please. 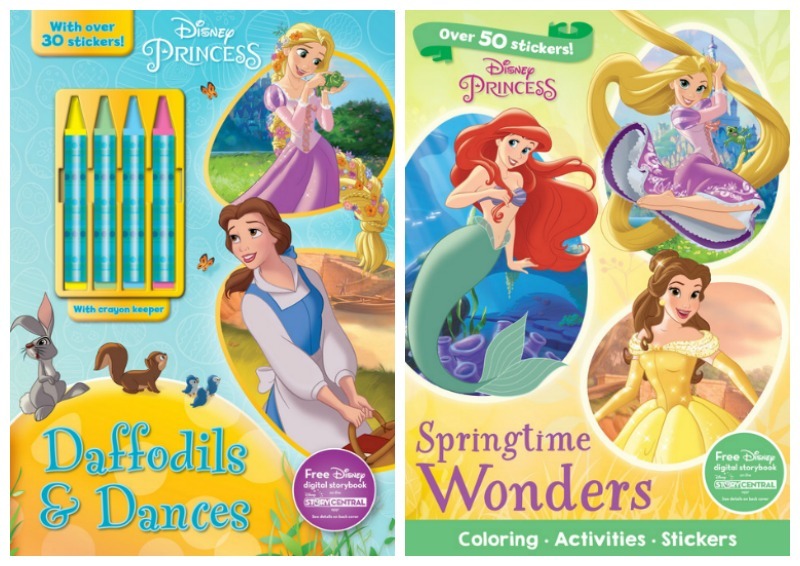 If your kid loves a good coloring book — and classic Disney princesses — they’re sure to love Daffodils & Dances, a 48-page coloring and activity that includes more than 30 stickers and a crayon keeper in the cover. Sure, it’s just four colors, but that will do in a pinch while you’re traveling, and it’s great to have a place to put them (though you can always store more in an old makeup bag or even a zip-top plastic bag, of course). Springtime Wonders has four pages of stickers and 11 full-color pages where you fill in the missing parts of the image with stickers (and there are extras to decorate other pages). The rest of the book is more of an old-school coloring and activity book with the princesses flying kites, cavorting with animals and more. And while Spring Sunshine looks like a traditional story book from the outside, inside it’s full of activities like connect the dots, spot the differences, follow the right path, tic-tac-toe, coloring and more. And each page gets a sticker when you’re done. This one is definitely coming with us on our road trip. 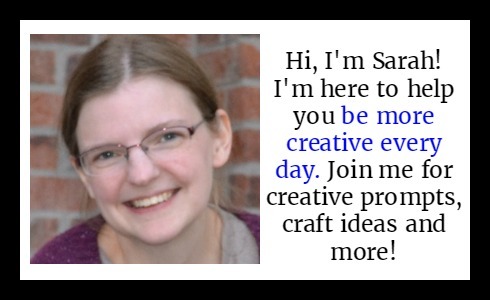 I really want to keep the Awesome Adventures: Draw, Color, Create book for myself. This one is full of Disney/Pixar characters from movies like Finding Dory, Inside Out and The Last Dinosaur. The pictures ask kids to add things to the drawing, like the landscape the Cars characters are looking at or a creature sneaking up on Mike from Monsters, Inc. The girl hasn’t seen all of these movies yet, but with more than 200 pages to color — and 100 stickers to add — it’s sure to keep her busy and maybe get her interested in seeing some of the ones we haven’t watched yet. Parragon has tons of activity books for all sorts of interests, so if your kids love anything Disney you should check them out. 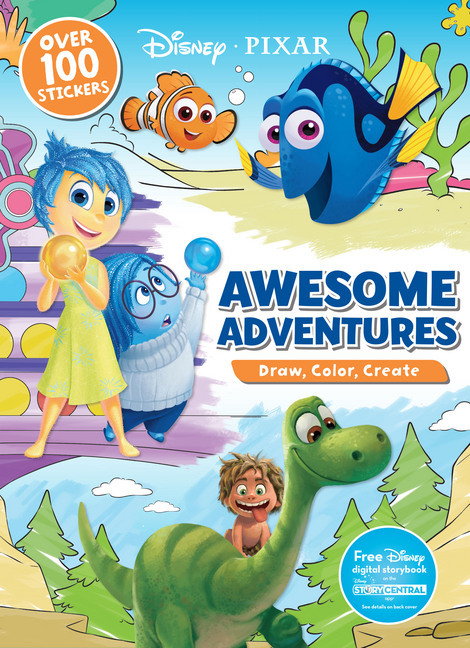 What’s more, each of these great Disney activity books comes with a free Disney digital storybook on the StoryCentral app. All you have to do is download the app and redeem the code found in each book. Those will definitely come in handy while we’re traveling. Do you like using activity books to keep kids occupied on trips or when they need to wait? I’d love to hear any tips you have for getting through road trips!